With the greater architecture and design community in Manhattan for 2018’s AIA Conference, AIA New York used the final day of the expo to encourage architects to give back to diverse communities in need. 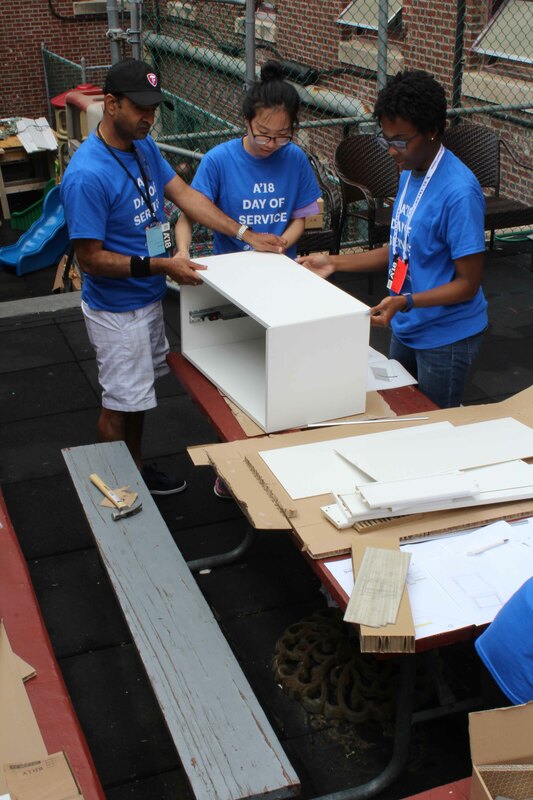 The chapter partnered with local architecture firms to gather volunteers to work on various service projects for non-profit organizations throughout the city – from Sunset Park, to Chelsea, to Harlem, to Washington Heights, to the Upper West Side, to Queens. 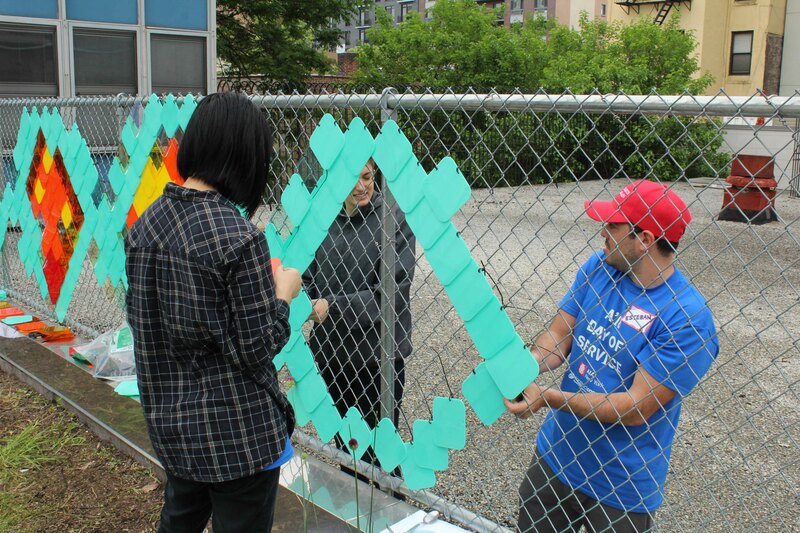 The Day of Service, organized by Kavitha Mathew, leadership and engagement coordinator for AIA NY, offered an opportunity for architects to lend a helping hand to nonprofits in unique ways including upgrading a homeless shelter reception area, distributing fresh vegetable to public housing residents, improving an edible schoolyard garden, and re-energizing the site of an educational program to make its design more kid-friendly. Volunteers met early in the morning of Saturday, June 23 at the Center for Architecture for breakfast and project briefings. 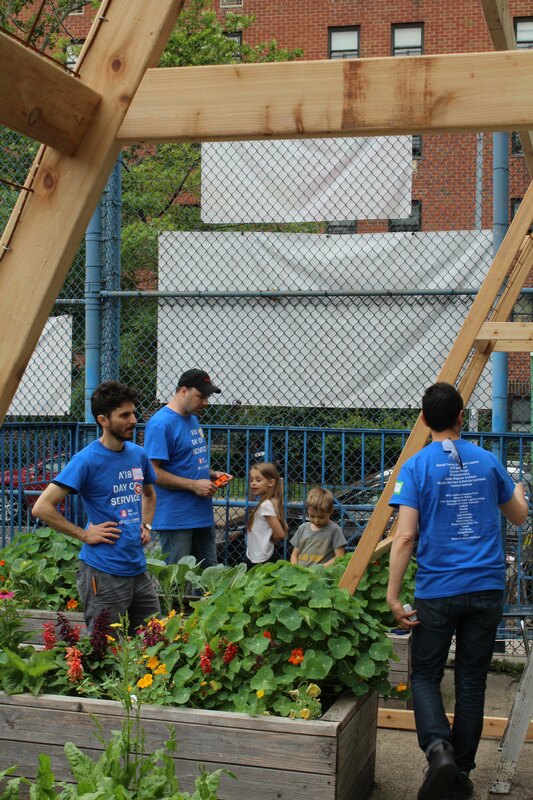 The architects then literally rolled up their sleeves and headed to their designated service sites to help nonprofits including the I Have a Dream Foundation, City Harvest, the Church of St. Paul and St. Andrew, Edible Schoolyard NYC, CAMBA and the Center Against Domestic Violence. Local firms, including FXCollaborative, Perkins Eastman, Cannon Design, James Wagman Architect, Murphy Burnham & Buttrick Architects, and 1100 Architect, each spearheaded an improvement project, which would ultimately impact a diverse range of people in need like low-income students and survivors of domestic violence. Hunter Douglas Architectural joined team leaders from the participating design firms and members from the nonprofit organizations on-site to discuss their work and goals. 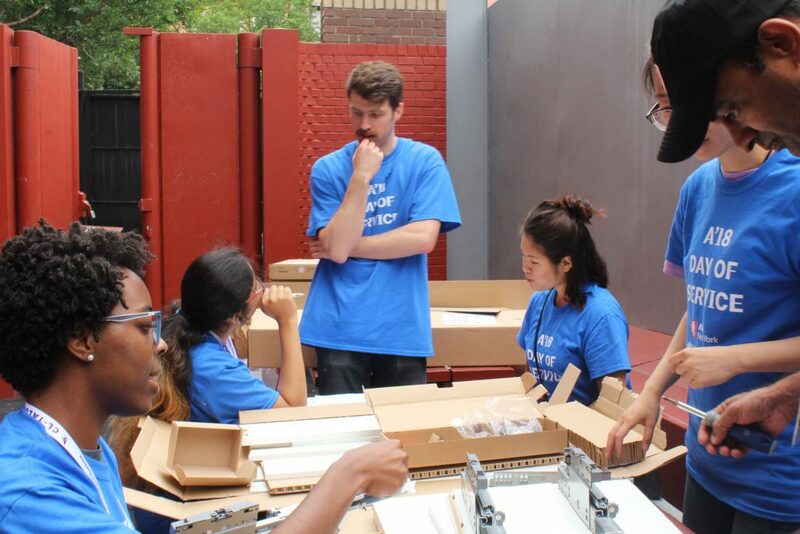 Ryan Koella, an architect with Cannon Design, volunteered at The Center Against Domestic Violence in Sunset Park, Brooklyn. Since 1977, CADV has promoted the economic independence of domestic violence victims, educated young people about abusive relationships, and provided support services and housing to clients on their journey from victim to survivor. The Center’s multipurpose shelter space, used for meals and socializing, was in dire need of an upgrade. While the volunteers were busy assembling Ikea furniture, Koella took a quick break to discuss the collaborative efforts behind the transformative project. “We’re going to get involved with some painting, putting in some flooring, and really revamp the space for the shelter. We also have great help from local installers and construction men. Tarkett flooring definitely helped us out donating floors, Benjamin Moore donated some paint, and our wonderful AIA volunteers are helping us out with the man-power. We’re all excited,” Koella said. 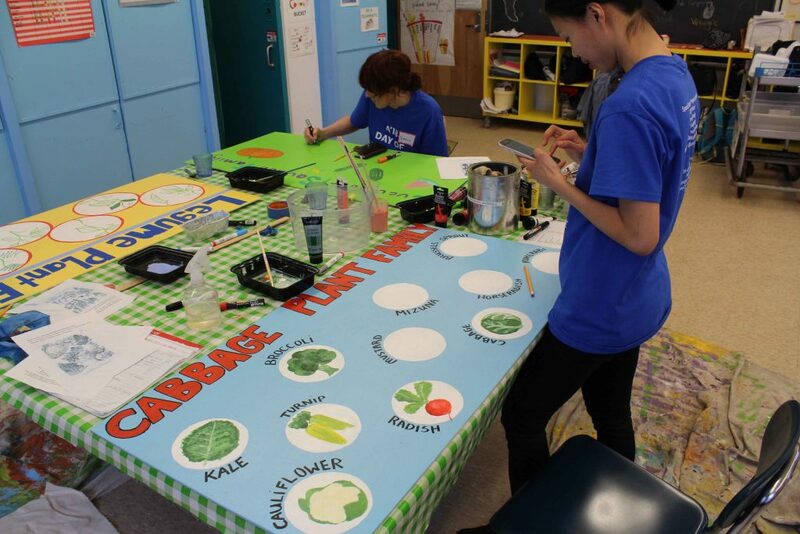 In East Harlem, Nyssa Sherazee, an architect at Murphy Burnham & Buttrick, led the team’s work in a public school garden to provide nutrition education and access to fresh vegetables for neighborhood kids. “We are building a bean tunnel, which is basically a trellis that beans can grow up, and you can walk through. We are also installing some fence art and painting some signs for the garden,” she explained. After long hours volunteering, participants reconvened at the Center for Architecture for a reception, sponsored by Construct Connect, which officially marked the end of the AIA Conference. 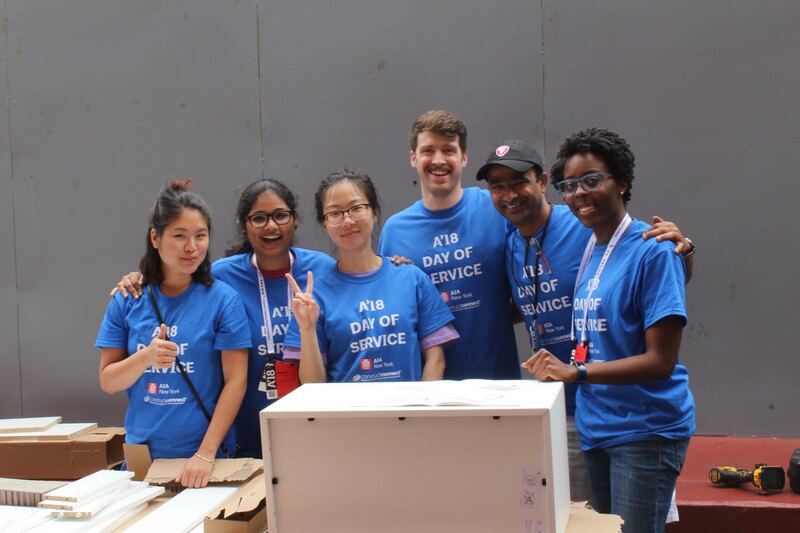 Volunteers discussed how the AIA Day of Service was an important and authentic opportunity for both Manhattan-based firms to make a difference within their local communities, and for architects from all over the country to experience another side of New York. 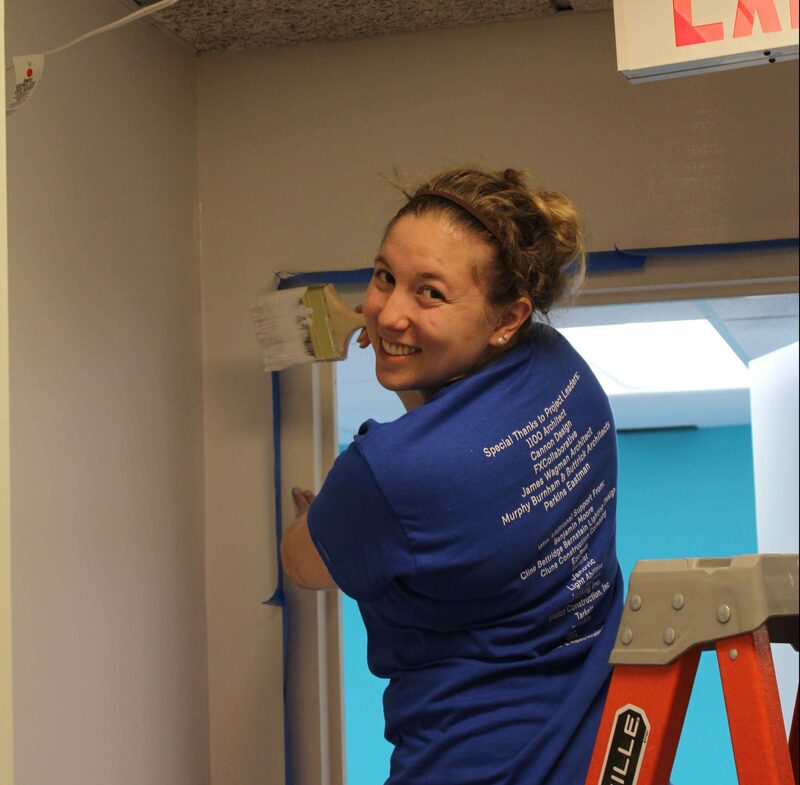 Click here to read more about the AIA Day of Service organized by AIA New York.